William Gleason, the chief instructor and head of Shobu Aikido of Boston. Gleason Sensei trained in Japan for ten years under Yamaguchi Seigo, one of the giants of post war Aikido. Gleason Sensei is one of the foremost practitioners of Aikido in the world and has authored two books on Aikido and its spiritual principles. 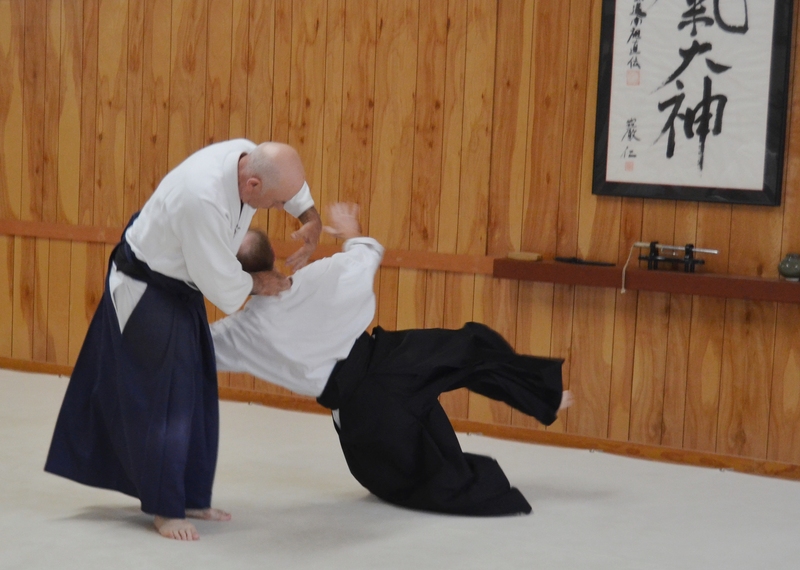 Gleason Sensei continuously develops his Aikido and his teaching methods. He is currently incorporating internal power development methods into his Aikido and that will be included in the seminar. This material is very “cutting edge” in the Aikido world. Aikido Eastside has hosted Gleason Sensei each year for almost 19 years. We consider him to be one of the most challenging and exciting teachers one might encounter. The seminar is open to students of all experience levels and affiliations.